Although ESS Earth Sciences (ESS) makes every effort to ensure the content presented on our website is up-to-date and accurate, we do not make any guarantee of the reliability, accuracy or totality of the content, nor do we accept any responsibility arising in any way from errors or omissions. 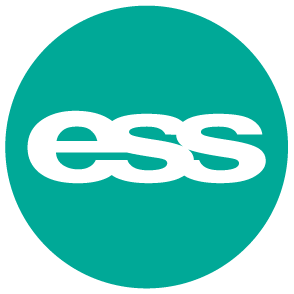 ESS will not be liable for any cost, loss or damage suffered by you through your use of the site to access information and updates. We will not be liable for any loss as a result of any action or decision by you in reliance on the content on the site, nor any interruption, delay in operation or transmission, virus, communications failure, Internet access difficulties, or malfunction in equipment or software. No responsibility is taken for any contents linked or referred to from our site. ESS takes no responsibility for any damage that may occur by the use of information presented on our site. The copyright for any material created by the author is reserved. Any duplication or use of content such as images, diagrams, sounds or texts in other electronic or printed publications is not permitted without the author’s agreement. Information regarding your visit to our website is collected and logged for statistical purposes, namely pages you view, duration of visits, links you click, files downloaded, and other actions. We also track certain standard information that your browser sends to every website you visit such as your IP address (browser type, language, access times) and referring website addresses. Other than the above data, users or their browsing activities are not individually identified apart from, in the event of an investigation, where a law enforcement agency may exercise a warrant to inspect logs, or where ESS believes it is required to collect and produce relevant electronic documentation to fulfil its obligations to third parties, including statutory organisations under local law. For further information in relation to any ESS products or services referred to in our website, please contact us.